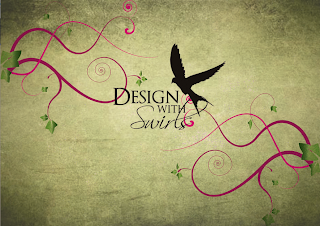 Handed "Design with Swirls" in today. Made on Illustrator and fonts are from Dafont.com. *Sigh* another Monday. Only six weeks and six days until course finishes for the year. Here's the tutorial we did to day. 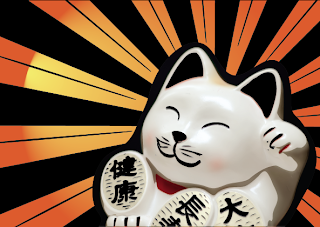 It's a lucky cat...isn't it cute. Made on illustrator. Nice work on the cat image! I have to re do mine because I lost it. Not that I liked it.. those instructions were hard to follow and I didn't know WHAT I was doing.